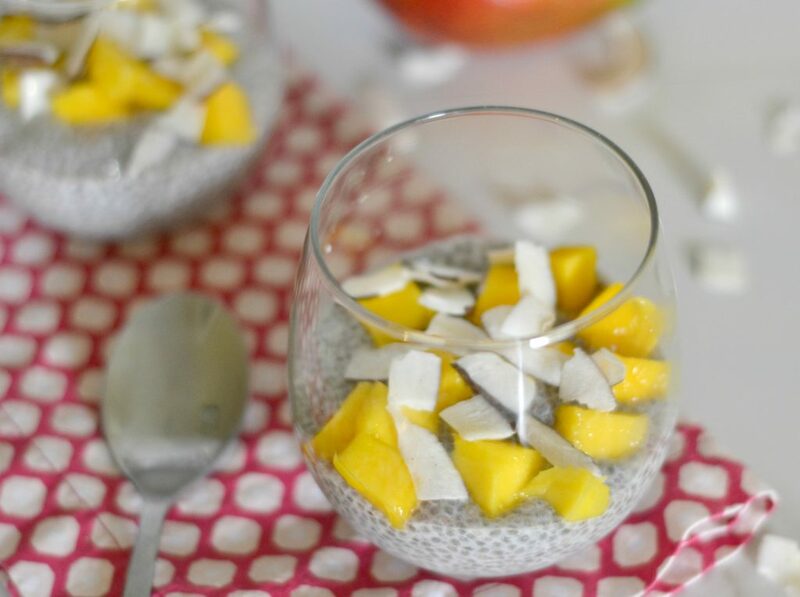 Last week, I needed this chia pudding with mango and coconut in order to start to feel a bit more normal in our house, my body and in our life. After our two weeks dealing with our Hurricane Irma drama, I came home completely wiped out and overwhelmed. We didn’t sustain much damage other than yard debris and loss of electricity for a few days. It was more the whole process of evacuating that was high stress and anxiety inducing. When we finally returned home, I cleaned out the fridge since the power had been off for days and I really didn’t have much left. The stores were still out of almost everything but I had almond milk (that doesn’t go bad, right? 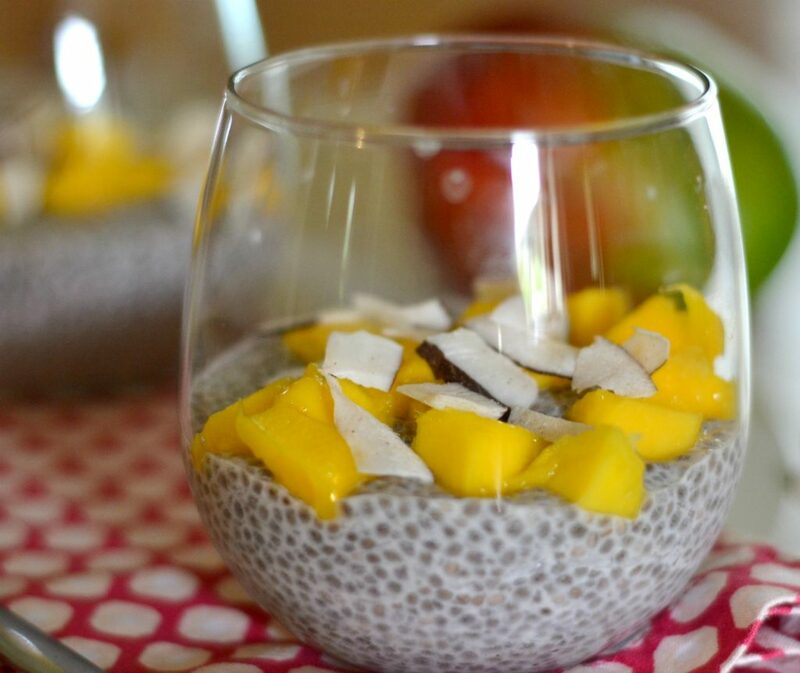 ), chia seeds, coconut and mangoes that needed to be eaten right away. I used my basic chia pudding recipe then just topped the whole thing with mangoes, shredded coconut and coconut smiles. A very simple recipe for a time when we needed things to be simple. 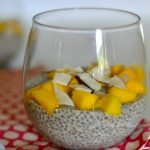 Chia pudding is a great source of protein and fiber, the coconut adds needed fats and the mango is there for brightness, sweetness and much needed vitamins. Who doesn’t love mango? 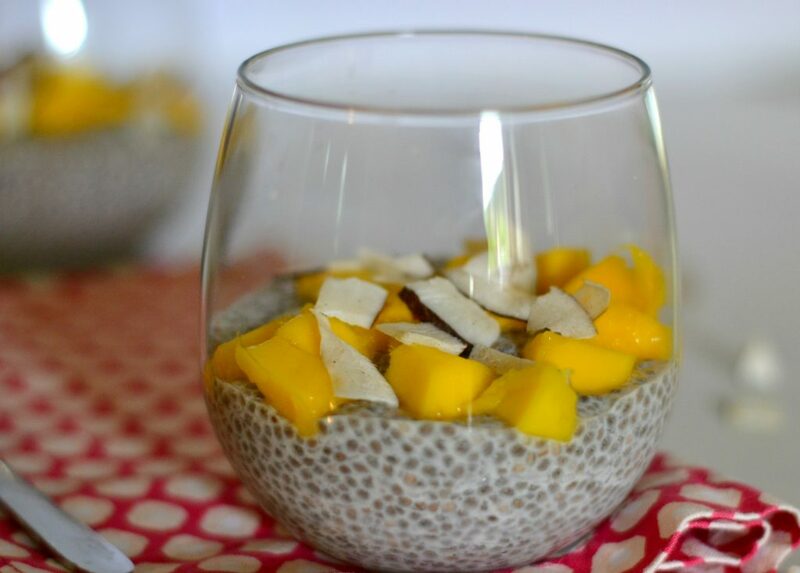 If you need a little brightness in your day, consider making this mango chia seed pudding. So lovely, so bright and so good for you! A simple healthy recipe to add a bit of brightness to your day. In a medium sized bowl, mix together the milk, sweetener and vanilla. Add the chia seeds and stir gently. You want to make sure that all of the seeds are exposed to the liquid. Cover with plastic wrap and allow to chill for about 12 hours. Try to take the time to stir it at least once during the chill time. 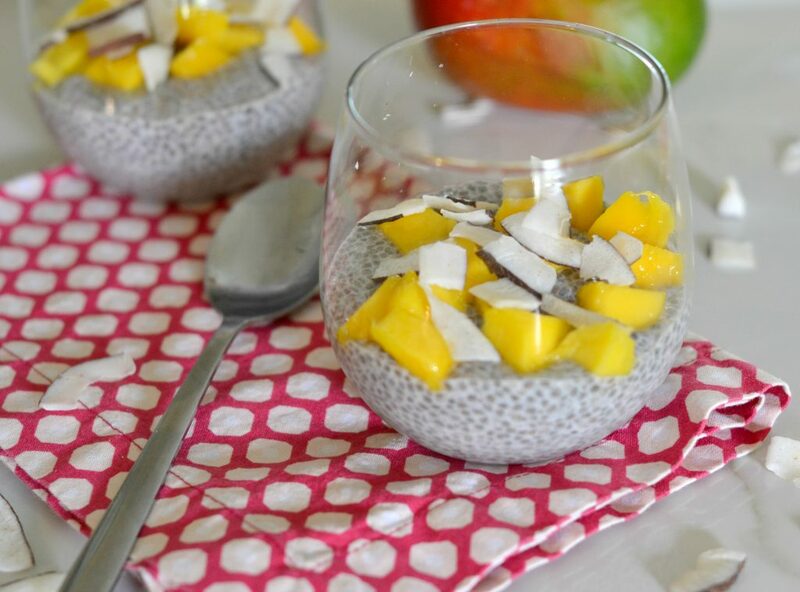 When serving, dish chia pudding into serving bowls, top with mango, coconut smiles and sprinkle with the shredded coconut.